Stage 7 is all about purpose. The purpose of the 1-Cimi (death, change) growth pattern is to find a new way, which is 7-Eb. However, in this process it is obvious that finding a new way happens halfway through the 13-day journey, and there’s much more to come down the road before concluding on 13-Tijax. Let’s say I get married on 1-Cimi. The bachelor I used to be dies on the day the husband is born. I’ll never do what I used to do, and never be who I used to be. That’s one way of looking at death, as something irreversible. Through this point of view, Cimi (Kame) or death can happen while I’m still alive, and I <usually> survive it. As each individual life goes through at least some of these life-changing events, old roles and states of mind are left behind, as new responsibilities and aspirations are assumed. Growth continues through a series of transformations. Naturally, it takes me time to realize what I lost, and go over the things I could have done differently. I must first shed my old habits like a reptilian skin, and get used to a new routine. As time goes by, I reach 7-Eb, when I begin to see the outlines of what lies ahead, and gain a better perspective of what I left behind. Because the past tends to haunt me like a wolf, I might find myself being busy sulking for quite some time. This must come to pass and play out before I can fully realize why I couldn’t possibly have stayed single, and why getting married was the best thing that could ever happen to me. 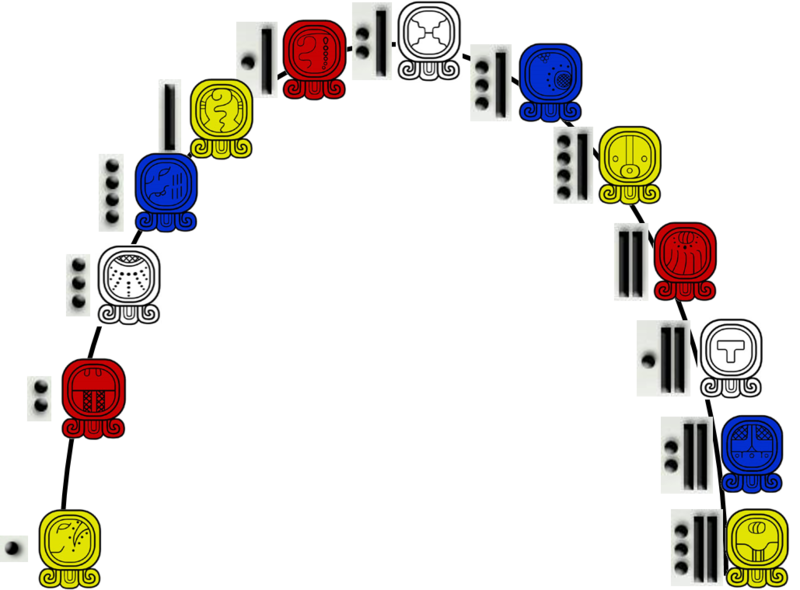 When considering the above example, please note that the Tzolkin turn-based. In other words, out-of-time. Coming to terms with the death and rebirth process of getting married (or becoming a father, or an orphan, etc.) can take any measure of time. In the timeless Tzolkin round, the 1-Cimi paradigm of change lasts 13 days minimum. It usually takes much more. An epic, real-life-changing learning period like becoming a spouse can involve spending years of regret and perceived failure, staying in a house with someone who isn’t really a friend, out of meaning, and out of divine purpose. This is due to the error in time. It can also be quite different.